Once again, IFFA 2013 confirmed its status as “No. 1 in the meat industry” – and that is not only the conclusion of Messe Frankfurt. 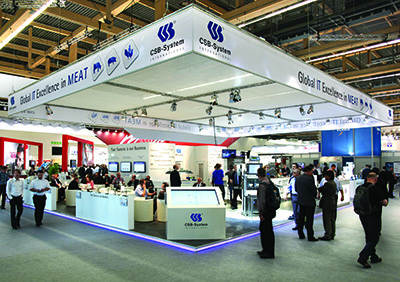 The CSB Group of Companies also draws a very positive conclusion: in hall 11.1, the leading IT specialist for the meat industry welcomed many customers, prospects and partners from all over the world. The image processing solutions presented at IFFA which ensure faster, automated processes and more efficiency were another highlight that drew large crowds. The automatic article identification via image analysis can e.g. be used at various control points in meat production. It allows for visual capturing of items based on their appearance, e.g. at cutting exit, production exit or goods receiving. The fully automated system makes manual capturing steps for identification, sorting or item targeting redundant. Besides, the innovative object recognition can control the content of crates and trays and spot visible foreign objects. Scanners, scales, label printers, temperature sensors and metal detectors can be easily connected via interfaces. The CSB-Image-Meater® is another highly innovative technology for image processing. Its fields of application are in the classification of pig carcasses in the slaughter line complying with statutory requirements, and cold grading of pig halves at the receiving dock in the production plant. The CSB-Image-Meater® provides transparent illustrations as well as exact measurements and ensures improved efficiency by automating the grading process. The partner network ”loginmove” drew a particularly large crowd. The network has been initiated by CSB-Automation and presented a world first: an intralogistics system solution which allows for fully automatic interim storage, packaging, labeling, picking and provisioning for dispatch of self-service meat products. The originator for this solution is the new intralogistics system “CSB-Hang & Move”. It consists of a load carrier and stations for loading and unloading. At IFFA, this load carrier was presented as part of an overhead conveyor system for space-saving intermediate storage, sorting and in-house transport of self-service products. 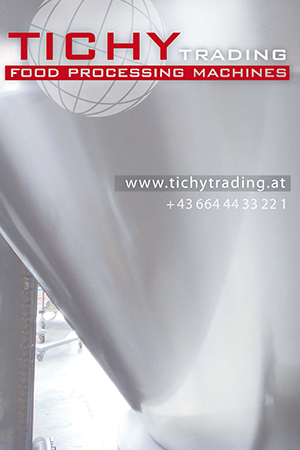 The system has been developed in order to extensively automate the handling of sealed and unsealed trays and thermoforming packaging. The benefits include improved hygiene and space utilization, considerably reduced manpower and the decoupling of procedures to improve efficiency. The software application CSB linecontrol® controlled and monitored the fully automated packaging line for sliced sausage products. The result: a constantly high overall equipment effectiveness (OEE).